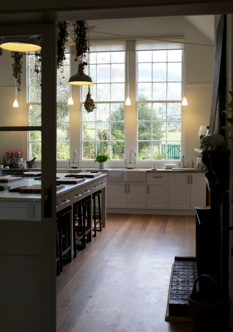 The Agrarian Kitchen Cooking School & Farm offers paddock-to-plate cooking experiences in a 19th century schoolhouse at Lachlan, 45 minutes from Hobart in Tasmania’s Derwent Valley, Australia. 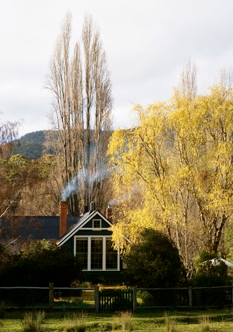 The Agrarian Kitchen was established by Rodney Dunn and his wife, Séverine Demanet who moved from Sydney to Tasmania in July 2007 to transform the schoolhouse into Tasmania’s first hands-on, farm-based cooking school. Cooking classes commenced in November 2008. Set on five acres, The Agrarian Kitchen is a working farm and incorporates an extensive vegetable garden, orchard, berry patch and herb garden, all grown using organic principles. Also in residence are rare-breed Wessex Saddleback and Berkshire pigs, Barnevelder chickens, milking goats, a flock of geese and honeybees. The Agrarian Kitchen grows and uses heirloom varieties of fruit, vegetables and rare breed animals in its cooking classes and also sources ingredients from local farmers, fishermen, gardeners and artisan producers. 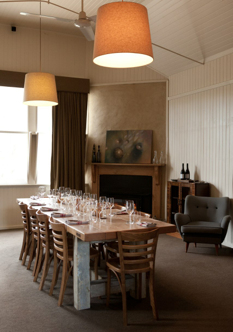 Cooking classes are led by Rodney Dunn, former Food Editor of Australian Gourmet Traveller magazine and one-time apprentice to Australian chef, Tetsuya Wakuda, as well as a supporting cast of Tasmanian cooks and producers. In June 2017, Rodney and Séverine opened The Agrarian Kitchen Eatery located 7 minutes down the road in New Norfolk.